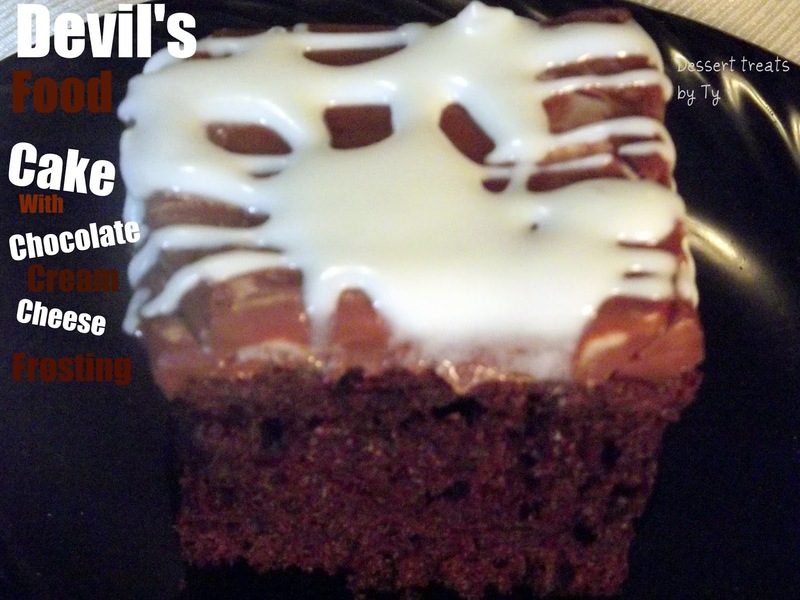 So, I took what she had and created this light texture Devil’s food cake With Chocolate cream cheese frosting that’s so creamy and rich. Everyone loved it .I hope you try it . Check it out . In a bowl, beat butter and sugar until crumbly, for about 2-3 mins. Add eggs, one at a time, beating after each egg. Next mix in flour, cocoa, baking soda, vanilla and salt. Add to creamed mixture alternately with butter. Then add water and mix well. Pour batter in lightly sprayed pan. Bake for 25-30 mins or until toothpick comes out clean. Cream together the butter and cream cheese, add melted chocolate, salt, shifted powdered sugar, half-and- half and vanilla. Beat until smooth and spreadable.